The largest misconception about chronic pain is that it is a muscle issue. If a person has a muscle injury, it will resolve itself in a relatively short amount of time (within a couple weeks). Think of an ankle sprain or pulled muscle while working out. When a pain is consistently present, or condition repeatedly exacerbated past the few weeks mark, it is an indication of an underlying nerve problem. Nerves are what give life to the muscles. If the nerve exiting the spine is irritated, it can cause localized pain, shooting pain, dull pain, or muscle tension and chronic tightness. The key is, it is a nerve issue, not a muscle issue. So if you keep addressing the muscle only, it will often re-surface later because the nerve was never addressed properly. This is one of the cornerstones of the chiropractic profession. By aligning the spine and removing the irritation to the nerves exiting the spine, the muscular system has the ability to be free of pain and tension, naturally. Be careful of muscle relaxers and pain killers on a daily, chronic basis for they are purely masking the symptoms, and doing nothing to actually solve the underlying problem. Heavily increasing your water intake will also make a difference in naturally reducing your muscle tension. 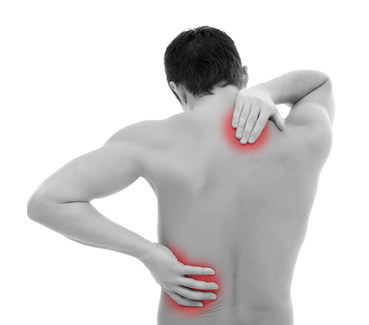 The most common sources of chronic pain stem from headaches, joint pain, improperly healed injury, and backaches.